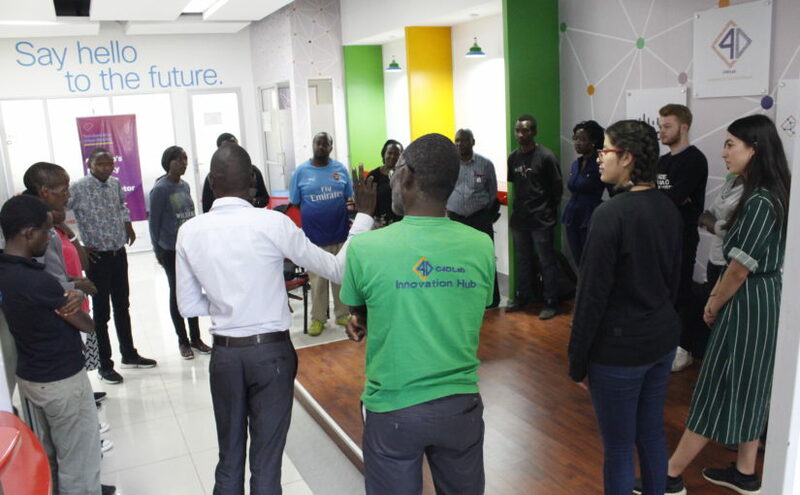 The University of Nairobi Innovation Fellows together with Aalto University students earlier today held a co-creation workshop attended by external healthcare stakeholders at C4D Lab. This is after holding a successful field research in Malindi where they got to interview health officers, traditional birth attendants, government officials and mothers to get information that will help them in prototyping an improved fetoscope. Part of the invites present were midwives, biomedical engineers, MSc Physics students, and startup founders. Rapid prototyping was one of the exercises of the day where the ‘Fetoscope Team’ got to hear the views of the stakeholders on the pinard fetoscope. The expertise views are set to help the team in its prototyping of the fetoscope. The top highlight of the day was that, the views were used to create a Computer Aided Design (CAD) prototype design that will be used to create an actual prototype. Up next is an Innovation Research symposium at the University of Nairobi. The ‘Fetoscope Team’ will be making their presentation. Watch out for the next article.